Conveniently located in the heart of the Fredericksburg region, Spring Arbor of Fredericksburg is redefining compassionate care and personalized support for assisted living and memory care residents and their loved ones in a secure and home-like setting. We believe it’s how you live that matters and residents at Spring Arbor of Fredericksburg feel loved like an extension of family. The community boasts a variety of indoor and outdoor amenities tailored to the needs of their residents. One of the most popular and unique amenities is a golf putting green. Spring Arbor of Fredericksburg also features award-winning programs that engage residents, including Art from the Heart, Hearts and Harmony and gardening therapy. Talk about interesting neighbors! The community is home to incredible residents, such as Bernie Cohen who left his mark on history when he argued the Loving v. Virginia case before the Supreme Court in 1967. Spring Arbor of Fredericksburg also offers memory care services in its Cottage Care program. This program is specially designed to meet the specific needs of individuals with Alzheimer’s and other forms of dementia. The Cottage Care program incorporates a unique blend of architectural design, targeted programs for the mind and body, and specially trained staff to provide an unparalleled level of respect and care. Perhaps one of the key differentiators for Spring Arbor of Fredericksburg is its commitment to being a provider of quality products and services. The community recently received a coveted three-year license renewal from the Virginia Department of Social Services. This license renewal is the highest-level of achievement for an assisted living and memory care community in Virginia. Additionally, this places Spring Arbor of Fredericksburg among the top 14 percent of assisted living and memory care communities in the state that have received a three-year license. The community also scored 100 percent on reviews from the Department of Health, Fire Marshall, and Department of Social Services! Spring Arbor of Fredericksburg is one of 21 Spring Arbor senior living communities in Virginia, North Carolina and Maryland. 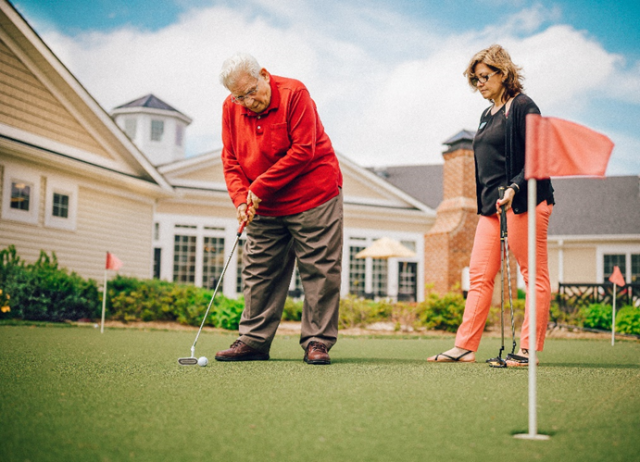 Learn more about Spring Arbor of Fredericksburg online and schedule a tour today to experience this impressive community and outstanding team!